This small, solid, SS Celtic Cross Pendant w/Puppy Paw® can easily be made into a Mother's Paw® that can hold 7 birthstone crystals! 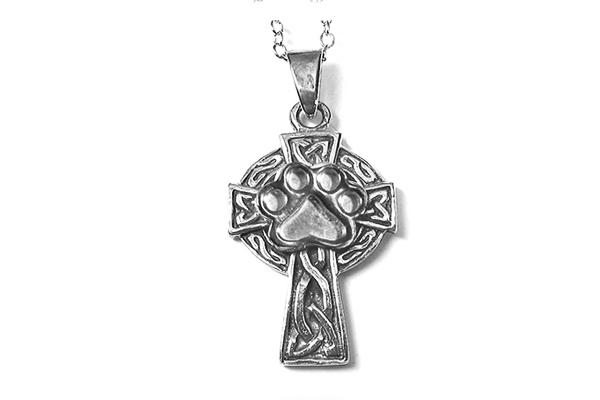 Solid, sterling silver Celtic Cross Pendant w/Puppy Paw®. Comes w/an 18" sterling silver chain pendant measures about 1 1/8" x 1 1/2.